This post is number nine in a series during the month of December 2016, where we are reflecting on the things — issues, movements, and ideas — that give us a reason for existing here at Interference Archive. We wanted to take this time to think about what these critical elements and movements bring to us, and what we have to give to them. You can read parts one, two, three, four, five, six, seven, and eight as well. The work of immigrant activists touches many different areas of justice, from struggles against displacement to creating coalitions of labor advocates through diverse communities. While each individual experience of migration is different, what continues to carry through is the strong voices of immigrant activists who play critical roles in re-shaping cities and communities across the globe. From organizing struggles for fair pay to fighting against colonialism, or working for access to housing, education, affordable healthcare and the right to citizenship. At Interference Archive you can see how activism in immigrant communities has shaped social movements for centuries. 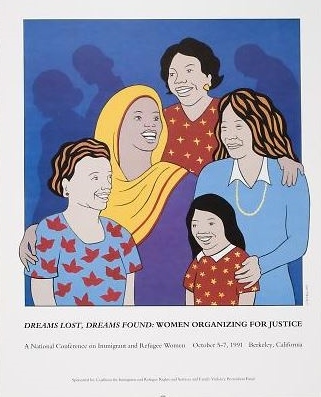 Here’s a look at organizing by women: Dreams Lost, Dreams Found – National Conference on Immigrant and Refugee Women. 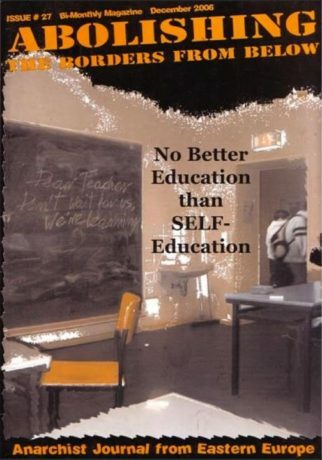 “Abolishing BB”, a bi-monthly magazine created by an international coalition of migrant anarchist activists living in Berlin, distributing information on different political and cultural processes and activities in Eastern Europe. 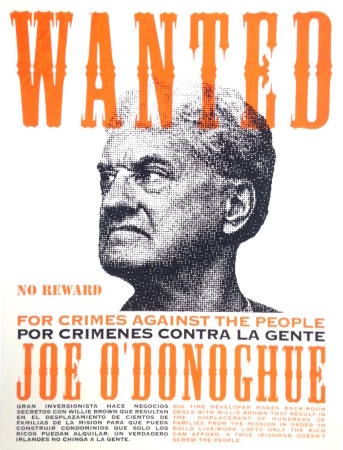 This poster was made to demonize Joe O’Donoghue, the head of the San Francisco building trades. He was a key player in the displacement of low-income, mostly immigrant families from the Mission District. Through his close political connections to then Mayor Willie Brown and the SF planning commission, he successfully lobbied to rezone parts of the Mission in order to build ‘live-work’ lofts that sold at market rate to young, mostly white, dot-com workers.